If you’re eager to pick up one of the most amazing devices we’ve tried thus far, and at an unbelievable price, you should know that the HTC 7 Mozart is now priced at PHP 14,750 at CMKCellphones. This is an unprecedented price drop for a device that was only released late last year. In comparison, the HTC Desire which was released earlier is still priced at PHP 17k today. 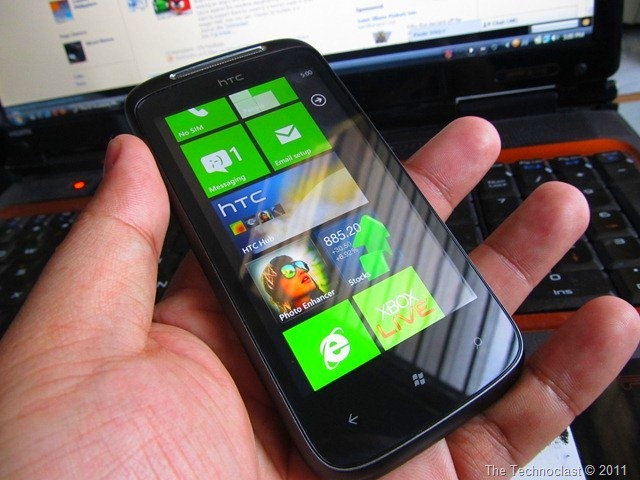 This means that the Windows Phone 7 device is now at the same price as midrange phones like the HTC Chacha or Samsung Galaxy Ace – and yet the specs and original price puts it toe-to-toe against the top 1Ghz phones today. We’re quite fond of the Mozart here in The Technoclast. In fact, we gave it 4.5/5 stars in our review. That’s the highest score we’ve given a phone thus far, and we haven’t changed our minds just yet. With this new price point, the HTC 7 Mozart is now more like the Cherry Mobile Magnum HD – a phone with top specs but is now priced like a midrange phone. Anybody in the budget range of 14k should seriously consider the Mozart (or Magnum HD) for their choice of device. We can, however, guarantee the impeccable quality that HTC puts into their devices and there is no doubt you’ll be satisfied with its sleek design cues and reliability. So pick one of these bargain gems up if you’re keen – you have our blessings and you will not be disappointed. Catch the HTC 7 Mozart First Look video below to get a little taste, but we suggest you check our coverage for more details.